Sealy's parent company is Tempur Sealy International, Inc., the world's largest bedding provider. Lie on any Sealy mattress and you channel a century and a quarter of mattress ingenuity. A journey that began in 1881 in the town of Sealy, Texas, when Daniel Haynes, cotton gin builder, filled a request for a cotton-filled mattress. And then another. And then another. His business grew exponentially, which led to more innovations and several patents. Among them, a machine that compressed cotton. Fifteen years later, Haynes sold his patents to a Texas Company that retained the Sealy handle. Soon after, ad exec Earl Edwards penned the slogan “Sleeping on a Sealy is like sleeping on a cloud.” And with that, Sealy mattresses were a national phenomenon. By 1920, Sealy had 23 licensed plants in many regions. Even in the face of the Great Depression, they managed to not only stay afloat, but to introduce a new product–the Button-Free Innerspring. The innovations didn’t end there. Sealy continued their quest for the world to sleep better for decades to come. Milestones include the introduction of the Sealy Posturepedic mattress. Being the first mattress company to display and advertise a king-sized bed. Creating an Orthopedic Advisory Board. Reinventing the innerspring coil and the box spring. Patenting a variety of groundbreaking technologies, including Posture Channels and Pressure Relief Inlays designed to relieve pressure points that cause tossing and turning. And the list continues to grow to this day. In late 1983, Sealy purchased the Stearns & Foster Company. True to the Sealy heritage, these mattresses redefined luxury and expressed a dedication to craftsmanship and intricate detail. Making it a perfect and sound addition to the Sealy family of beds. 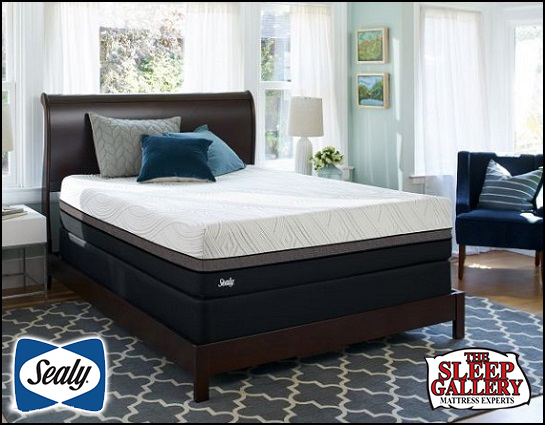 Now is a great time to visit The Sleep Gallery in Tallahassee, Florida and dive deeper into the Sealy line of bedding products. 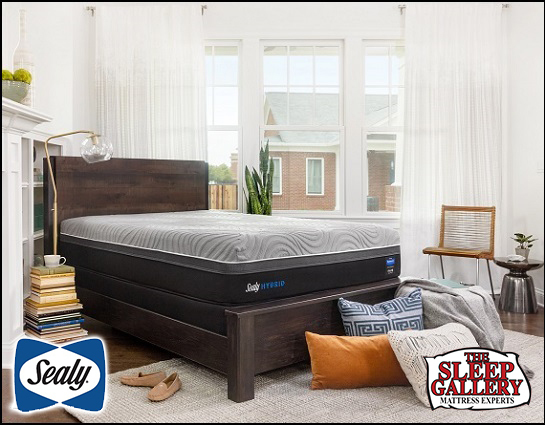 The Sleep Gallery is happy to answer any questions, discuss the various materials used with the Sealy Response mattresses, or provide a free test rest. The Sealy Response mattress collection is offered in plenty of sizes to fit any room. Choose from: Twin, Twin Long, Double, Queen, King, Split King, Cal King, Split Cal King. This Sealy Response collection offers the most value, comfort and durability ever! This line up offers something for the guest room, kids or your master bedroom oasis. With mattresses for every budget and comfort levels for any type of sleeper, the Sealy Response collection has a mattress for you! Utilizing Posturepedic Technology in the Performance and Premium Series these mattresses represent significant value at budget-friendly prices. The Sleep Gallery are Sealy experts ready to assist you with professional care. The Sleep Gallery is happy to answer any questions, discuss the various materials used with the Sealy Conform mattresses, or provide a free test rest. The Sealy Conform mattress collection is offered in plenty of sizes to fit any room. Choose from: Twin, Twin Long, Double, Queen, King, Split King, Cal King, Split Cal King. The Sealy Conform collection of mattresses offer a newer, more precise way to get comfortable. Using advanced foams, memory foams and the unique feeling ComfortSense™ foam, you are sure to get a comfortable, cozy night’s sleep. While all memory foam is not created equal, Sealy only uses the highest quality materials and state of the art technologies available. 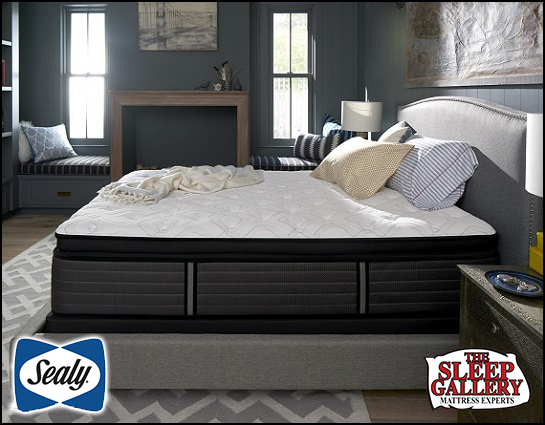 We invite you to The Sleep Gallery to lay on a Sealy mattress and experience the comfort & support Sealy provides. 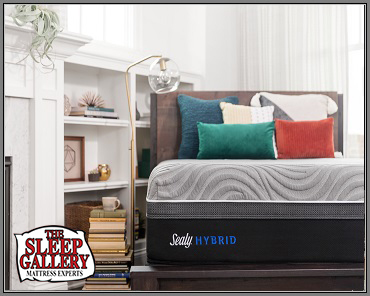 The Sleep Gallery is happy to answer any questions, discuss the various materials used with the Sealy Hybrid mattresses, or provide a free test rest. The Sealy Hybrid mattress collection is offered in plenty of sizes to fit any room. Choose from: Twin, Twin Long, Double, Queen, King, Split King, Cal King, Split Cal King. Sealy Hybrid mattresses at the surface utilize Sealy Immersion™ Memory Foam. While using Posturepedic Technology with Sealy Response Pro Encased coils and the Response Pro Zoned HD Encased Coil systems for deep down, targeted support. This zoning provides an additional 20% of coils in the center third of the mattress, providing the heaviest parts of the body much more support than other hybrid mattresses available. The Sleep Gallery are Sealy experts ready to assist you with professional care.